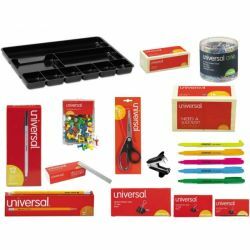 This uniquely designed, space saving plastic desk drawer tray is the perfect solution for working professionals and students. With 9 compartments, there is ample storage for pens, markers, rulers, staplers, post-it pads, tape, paper clips and other office and school supplies. The drawer can also be used as a compact home organizing solution for organizing everyday items like keys, cellphones, wallets, jewelry and makeup. This compact, all-in-one drawer organizer is the ideal storage solution for all your everyday needs. 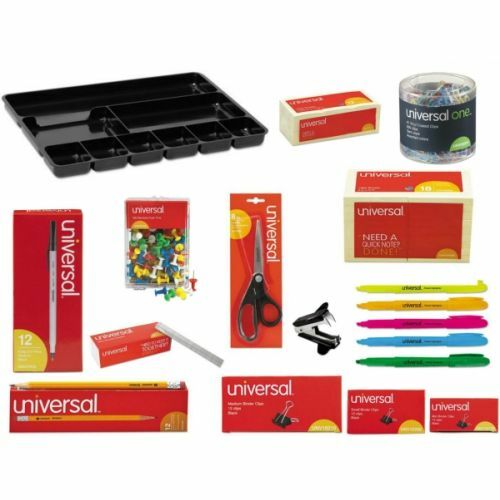 The bundle comes with all the office products shown in picture.